Oil is once more on the retreat following revelations that the output freeze accord initiated by Saudi Arabia and Russia was just a ruse to drive prices higher over the interim as production levels remain on the rise. After catalyzing a rebound from 13-year lows in prices on the backs of a proposed production freeze, reality has once again reared its ugly head, with producers once again to face the music of weaker prices. Despite the supposed sincerity of the sides involved, the probability of an agreement being reached in the near-term continues to dwindle as oil prices plunge back below $40.00 per barrel. Even though speculation was high that an agreement might be produced in Doha during the April 17th meeting, finding an amenable accord amongst producers will be challenging considering the discord between certain parties. 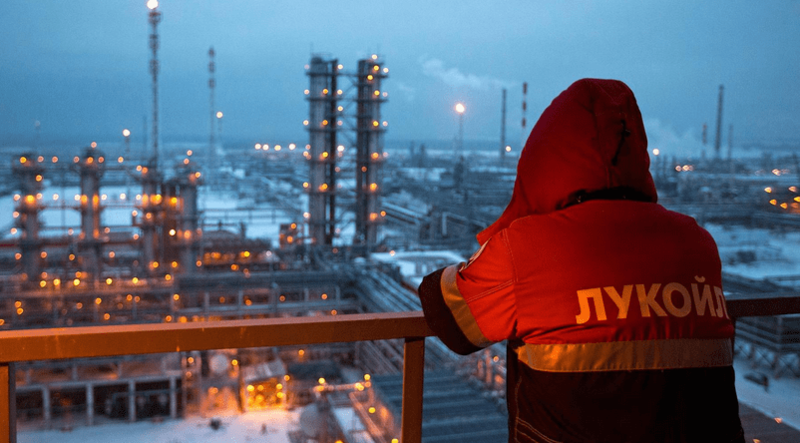 According to the latest data made available by the Russian Federation, oil output for the nation rose to 10.912 million barrels per day in March, breaking the pledge made earlier in 2016 with Saudi Arabia to keep production levels frozen at previously reached post-Soviet highs. However, even Saudi Arabia seems likely to increase its own production amid lacking consensus amongst the world’s largest oil producers. As evidenced by the discord between Saudi Arabia and Iran along with rising acrimony exacerbated in large part thanks to political and religious differences, forging an agreement between the parties seems nearly impossible at present. Even though OPEC members are slated to meet in Doha later in the month, a comprehensive decision that includes all key producers appears distant at best considering the ongoing disagreement between the largest producers about the best way to implement a price floor. Iran in particular has continued to highlight its unwillingness to compromise on production as they attempt to raise output back to pre-sanctions levels. The determination to win back lost market share during the embargo years has seen the nation tenaciously battling against other major Gulf suppliers to reclaim former clients. Data produced by Iranian Oil Minister Bijan Zanganeh showed that Iranian exports continue to rise, climbing past 2.000 million barrels per day in March. Although the Iranian delegation will potentially be in attendance in Doha, the nation has articulated on more than one occasion that it will not subject itself to an output freeze despite calls from other producers to join. Knowing that the Iranians will be intransigent on this point has seen the Saudi’s indicate that they will only observe an output freeze if all nations participate, an arrangement unlikely to come to fruition. One of the byproducts of the production race amongst major producers is the rapidly expanding oversupply conditions. 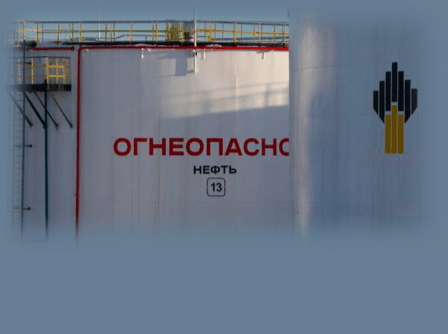 When accounting for rising Russian and Iranian production combined with weaker demand growth fundamentals, there are not enough buyers to effectively soak up the excess. For the West Texas Intermediate benchmark in particular, rising US inventories will indefinitely hamper any sustainable recovery in prices as producers run out of space to store oil. With current estimates showing that supply is outpacing demand by an estimated 2 million barrels per day and available onshore storage capacity filling quickly, the conditions are ripe for another significant decline in price if the gap between supply and demand does not narrow. Even though US production levels are falling, it is not occurring quick enough to offset the ongoing supply imbalance. Adding to the fundamental case for weaker oil prices over the medium-term is the technical perspective which adds to the ongoing bearish bias. Although the rebound in prices was in anticipation of frozen production, now that the conditions for higher prices have dissolved, there are several indicators signaling a renewed period of losses for the WTI benchmark. In particular, the channel-based breakout that began last week strongly suggests that a resumption of downward momentum will be ongoing. Channel-based breakouts specifically are traditionally the most volatile, yet provide the best reward conditions in spite of the higher risks. With support sitting at $36.28 and the 50-day moving average trending higher, conditions are supportive of a minor correction higher, but any upside is likely to be capped by the downward trending 200-day moving average which is acting as resistance. At present, price momentum lower is moving towards key support at $36.28 which coincides with an emerging head and shoulders bearish formation. The pattern, which has the neckline at $36.28, the shoulder line at $38.42 and head line at $41.82 traditionally is very bearish in nature. 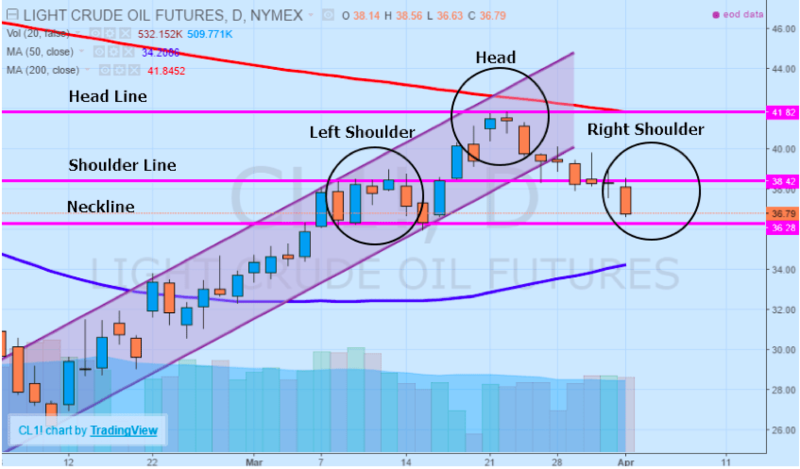 Right now, with the left shoulder and head completed, the key to trading the setup relies upon the formation of the right shoulder. Ideally, if prices rebound modestly from current levels, positions established near the right shoulder line would target the neckline. Any candlestick close below support at $36.28 indicates a completion of the pattern and a more pronounced likelihood of a bearish run towards the 50-day moving average and major support around $34.00 per barrel. However, if prices rise above the shoulder line it would suggest a breakdown in the pattern and a move back towards the key psychological $40.00 level. 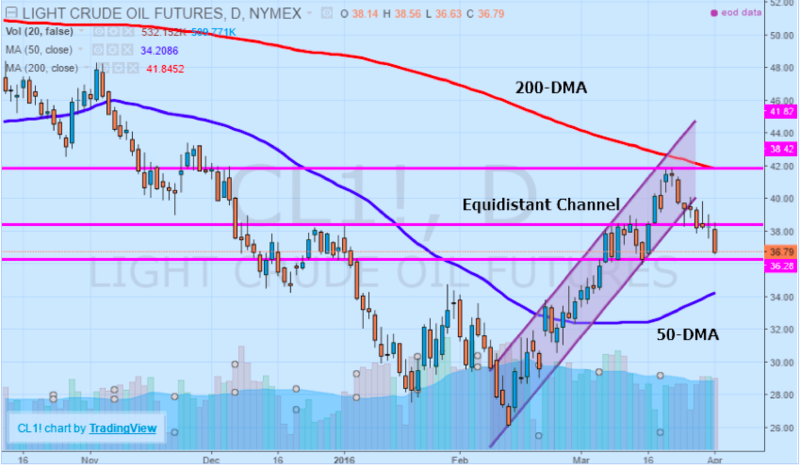 While speculation of a comprehensive agreement being reached is substantially diminished in the lead up to the meetings in Qatar on April 17th, there is still potential for widespread volatility in crude oil prices. Supply continues to outstrip demand by a margin that is widening as Russia and Iran raise production and export levels. As onshore inventories rise past critical levels, the stage is set for another rapid decline in prices, suggested in part by technical factors that are pointing to renewed price momentum lower. Without a substantial decline in production that offsets the inventory quandary or a pickup in demand, prices are unlikely to recover further over the near-term, with prices instead likely to retest March lows.